Instagram has launched a native payment feature which allows users to purchase items without leaving the app. The new feature offers users the option to add debit or credit card information, set up a security pin and track previous payments, multiple media reports on TechCrunch, CNBC and CNET stated. Instagram users can also book appointments at selected salons or restaurants including Resy, TechCrunch reported, adding that users can also expect direct payments for items such as movie tickets through Instagram. The new payment feature is only available to all users in the US and some in the UK. This is part of Instagram’s effort to deepen the relationship between users and businesses. Last year, it announced in a blog post that it will unveil the ability to book a service with a business directly from its profile later in 2017. Marketing has reached out to Instagram for additional comments. This comes after Snap recently announced that users can now shop directly on the app via its new Shoppable AR feature. According to CNBC, Shoppable AR allows advertisers to add a website to sponsored photos within the platform. Users can also directly purchase items, watch longer promotional videos or install apps on their phones without leaving Snapchat. According to Charlie Newbery, head of Media APAC at Digitas the new action button will shorten and remove the friction of a path from Instagram to a purchase. Powered by Facebook data, this could be really powerful for any advertiser. “You can see and like an image of an influencer, and two swipes later be invited to buy the Gucci sunglasses they were wearing on the spot. We see this working for fashion and retail brands in the immediate term,” Newbery said. The crucial difference here from other e-commerce platforms is that most e-commerce platforms are largely reactive. For example when a consumer wants something, and they type that need into a search bar, a product appears. However, Instagram is generating the demand and is able to convert it immediately. He added that the next phase of social selling will see Facebook becoming more commerce driven, as Amazon and Alibaba conversely, become more social. “There’s a clash of the titans coming. Who will win is a very tough question, and it will depend largely on the success of failure of things like the Instagram action button,” he added. 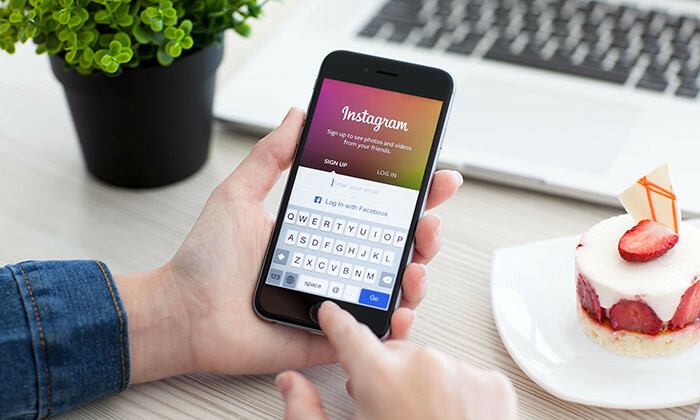 According to Jeffrey Lim, general manager of Carbon Interactive, marketers at the end of the day, need to still recognise that Instagram is a platform to inspire the ‘humanising’ of a brand. The objective is to “wow and build relationship through this platform”, and then leveraging on the new feature to allow fans and followers to add the products/services of their choice. This will make any brand’s Instagram strategy effective. “With the new commerce feature, Instagram will be stronger than other platforms since now it would be more seamless and friendlier in experience for users. The ability to ‘Buy’ without leaving the platform is big plus. It’s like being having a cashier or a checkout counter beside you all-ready to help you complete your purchase on the spot when you are shopping,” he said. Like Newbery, he added that lifestyle and luxury brands will benefit greatly from this new feature. Food and Beverages brands and the service industry may also be able to tap on this feature to provide new booking options to their customers as well. "As a significant share owner, my commitment to the company, which I founded over 30 years ago, remains absolute - to our people, ..
A shift in power is taking place in the food industry led by a group of increasingly influential consumers who want to impact how .. The campaign will run until the end of October 2017. ..